Description: Valery Kagansky was born in Kiev, Ukraine. 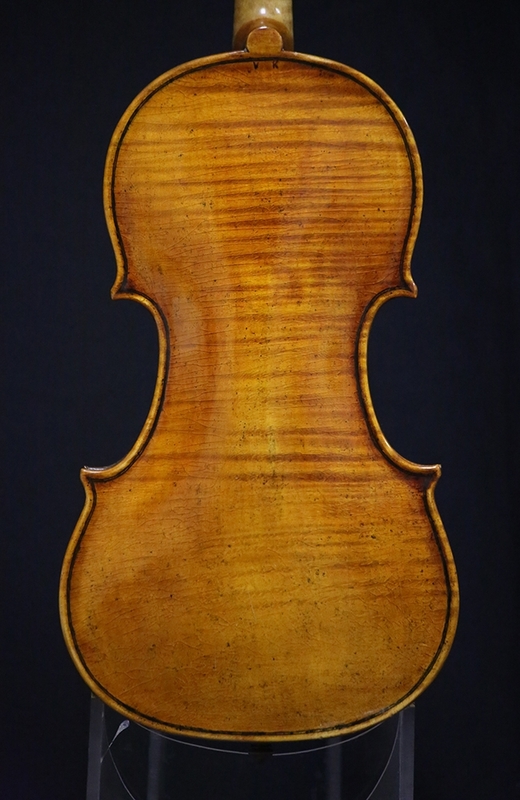 He studied at the Odessa Conservatory of Music, and worked as an apprentice to prominent luthiers in Rome and Cremona, Italy, in the early 80's. 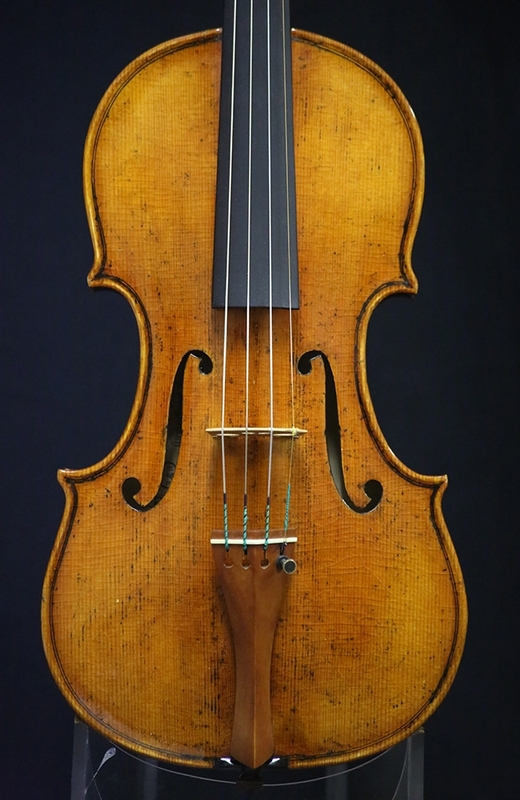 Mr. Kagansky also worked briefly at Jacques Francais Rare Violins, Inc. During the course of his career, Mr. Kagansky has created over 100 outstanding violins and violas, as well as several cellos. His instruments are internationally distributed throughout the United States, Asia, and Europe. 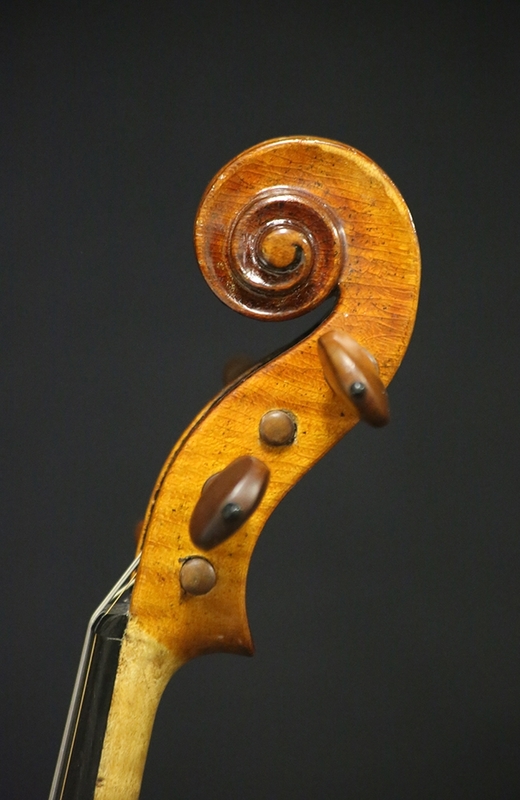 Many great soloists and principal players in major orchestras own and perform on Kagansky violins, including Concertmaster of the New York Philharmonic, Mr. Glenn Dicterow, and Concertmaster of the San Francisco Symphony, Mr. Alexander Barantschik. Mr. Kagansky continues to work at his studio in Brooklyn, NY. 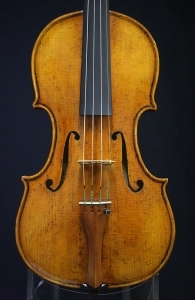 This particular violin produces an even, projecting tone across the strings. Back Length: 35.5 cm.